← SPRING VELO SWAP AND YARD SALE! Please make sure you can attend all classes. Missed session material will not be repeated in subsequent sessions. 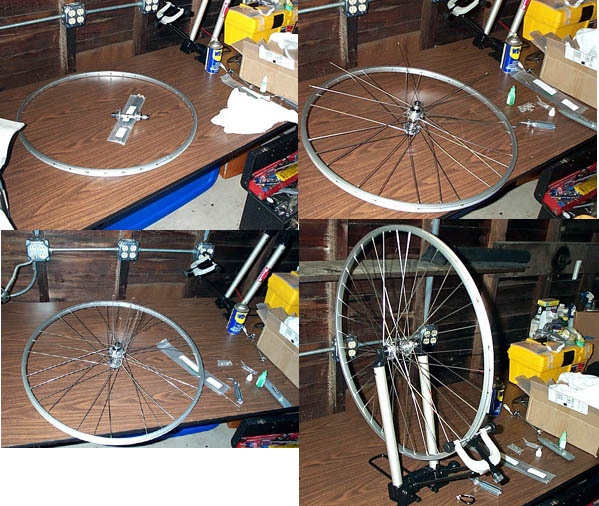 Prerequisites: Must be familiar with hub maintenance and wheel truing techniques. No RSVP required. All questions regarding sessions will be addressed at the orientation. We only have three truing stands so, unless attendees bring their own, allocation will be determined by lottery. Attendees that do not have a stand to use are still welcome to watch, listen, and learn during these sections. Because of the logistics of these seminars (checking participants in, security and safety of demo props, etc…), once the session begins, no late comers are allowed to join the session.